Sriz Beauty Blog: The Power Of Being Together!!! 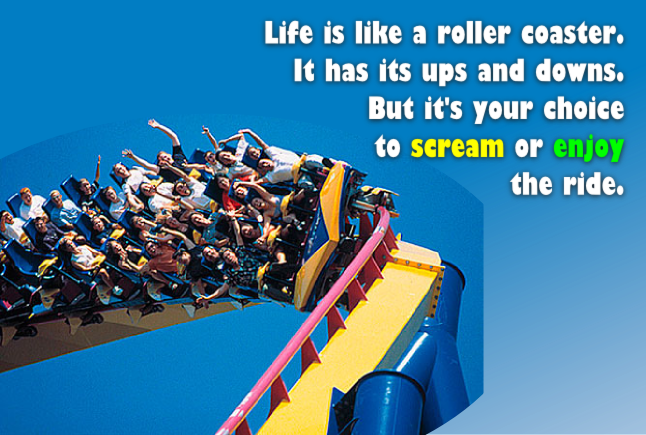 As the famous quote says ''Life is a roller coaster ride, it has its ups and downs.But it's your choice to scream or enjoy the ride'', our life is not always the same and it keeps on changing. Sometimes it is good and sometimes it is not-so-good, but it mainly depends on how we take it. Optimism is one thing that keeps us moving and it is the key to Success. But in some situations it is difficult to be optimistic and needs some support from the loved one to get back on track. I have faced the similar situation in my life as well. Two years back, when I participated in a state level cooking competition. I cleared all the 4 sub levels and reached the finals. I worked very hard for it and cooked a very special dish the final round . I was expecting at least second position if not first. But unfortunately, I lost first and second places and stood in the third place as I took 1 minute extra time in garnishing. I have participated in many cooking competitions till date and won all the contests except that. I cursed myself for not being a winner, as the prize money is huge for the First and second winners. I was very much disappointed and lost all my confidence. It took me almost 10 days to become normal that too after meeting my close friend Divya. Divya is my best friend since my childhood and after marriage she moved to London. I have not met her for many years. Luckily, she was in India,when the competition took place and when I am in great depression. She came immediately to my home after knowing my situation to meet and console me. She tried her best to change my mood. She cancelled all her personal work for one full day just to spend time with me. On that day, we both went to our school where we studied till our 10th standard, met our teachers and other school staff and talked to them after many years. Later, we went to a restaurant for lunch and had the best food after a long time. Then we went to meet some other friends, whom we met a long time back and in the evening we went to a movie followed by dinner at my home, as Divya loves food prepared by my Mom. Needless to say, she gave me enough strength and motivation to get back on track and to look up with much more Optimism!!! That was the most memorable day with many wonderful moments, in my life which I can never forgot!!! She is truly a sweet heart who loves me so much and I too love her loads. She is my best pal in my life and wish her all the success in the life. Though she lives in London, still we talk to each other every day on phone as well as on Skype. She encourages me in everything and helps me to get out of the difficult situations whenever I am in troubles. She motivates and comforts me.I like her company very much and love to spend as much time as possible with her. I get instant positive boost up when we are #together and I forgot all my worries when I am with her as well as when I talk with her.